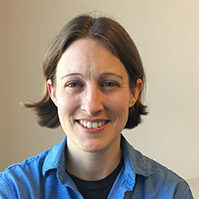 Karen Mulligan is a research assistant professor of health policy and management at the USC Price School of Public Policy. She was previously an assistant professor of economics at Middle Tennessee State University. Her most recent research focuses on screening and treatment for hepatitis C and HIV. She has also examined the impact of government policies on health-related behaviors such as vaccination and contraception use. Mulligan received her doctorate in economics from the University of Texas at Austin and an MS and Bs in economics from University of North Texas. This study estimated the annual costs of productivity loss and caregiver burden for four statin benefit groups. In investigating the value of expanding screening and treatment for hepatitis C virus infection in the US, the researchers found that, although increasing screening may generate some value to society, only when paired with expanded access to treatment at earlier disease stages will it produce considerable value. This study modeled hepatitis C virus disease progression and transmission to simulate the economic and social effects of different private-payer HCV treatment scenarios on Medicare.